Asking the National Association of Charter School Authorizers to create our charter school accountability framework is like asking the National Rifle Association to write our gun laws. Yep. ACTING NJDOE Commissioner Cerf hired the cheerleaders to ref the game; and the cheerleaders are buddied up with ALEC, which writes "model" legislation on education (among other things) and gets favored politicians to put before the Legislature. In other words: NACSA is writing the rules, enforcing them, and promoting the game all at the same time. That's because the charters are not serving the same types of kids as the publics. 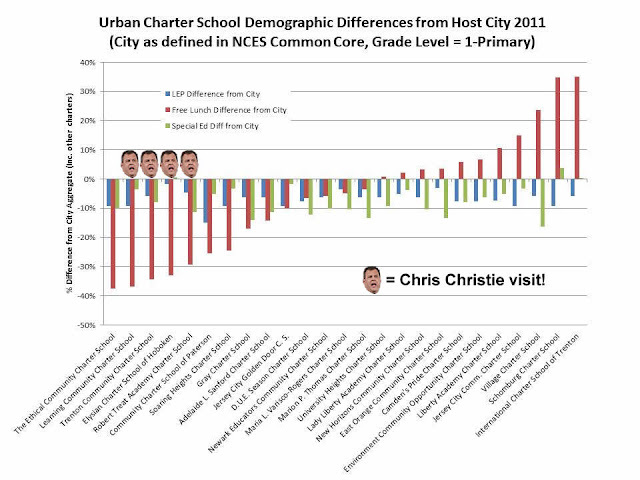 "Successful" charters in New Jersey are largely "successful" because they teacher fewer kids in poverty, fewer kids who don't speak English at home, and fewer kids with special needs than neighboring public schools. The "performance framework" that NACSA set up does nothing to address this. Charters need only show that they are trying to be diverse; they don't have to actually get results. Unlike the publics, which must perform well academically or face closure. That double standard doesn't seem to bother NACSA or Cerf very much, though. 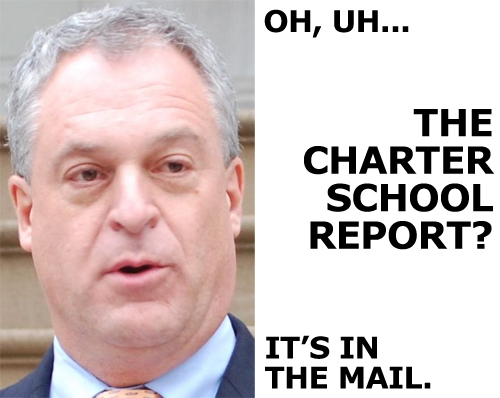 Cerf promised us a charter school report that would address this very issue 512 days ago. There should be a moratorium on all new charter schools until this report is released and fully vetted. Violent assaults, drug dealing, gang fights — sounds like a poorly run prison. But that’s what kids in Camden have to contend with, when they show up to their public schools. No. You’d say, sign my kid up. Sign him up right now. Especially if you heard that this new school would be run by the same folks heading the highly successful TEAM charter schools in Newark. First of all, as I've said now a bajallion times, TEAM may be a fine school, but it does not serve the same population of students as its neighboring public schools. "Successful" charters are often "successful" because they serve students who speak English at home, don't have as many special education needs, and don't live in severe poverty. So what makes the S-L think this UHA school will be any different? Will this new TEAM school take the kids who are dealing and fighting and running in gangs? Will every one of those students just decide to start imitating the Huxtables and do their calculus homework because George Norcross planted a new building in the center of town? The Cooper Foundation, the charitable arm of Cooper University Hospital headed by Democratic boss George Norcross, will build it. And the fact that problems in Camden schools are being fixed by a nonprofit group, instead of the government, is beside the point. Last year, police responded 249 times to violent incidents involving students in the city’s public schools — in a 180-day school year. At Camden High, nearly 40 percent of students are suspended. Fewer than 17 percent of juniors are proficient in math. It's quite telling that the S-L puts those three together. Because the UHA schools, charters, and vouchers all do the same thing: they separate the kids whom these schools unilaterally decide are "educable" from the kids they decide are not. That's really it; anyone who tells you that these schools' "successes" are due to some magic curriculum or lack of collective bargaining or an awesome Joe Clark-like figure or computer tablets for everyone is selling you swampland in Florida. And the S-L gives away the game here. They are right to be concerned about arrests; they are right to be alarmed at the suspension rate. Did it occur to them that maybe that has something to do with the proficiency rate in math? Or are they so naive as to think that getting rid of tenure would solve this problem? I would have a lot more respect for the S-L editorial board and B4K and Chris Christie and Chris Cerf and the voucher pushers and the charter cheerleaders and Michelle Rhee and Joel Klein all these reformyists if they would just acknowledge this obvious and basic truth. All they need to do is admit that they want to divide up the kids into those who are easy to educate and those who are not. I am calling for a serious conversation about this, once and for all. New Jersey's schools are badly segregated; it's sad but it's true. Is the answer for this to take the kids in the cities and divide them into "savable" and "cross your fingers" schools? If so, is it time to do this in the 'burbs as well? Should we finally make Aldous Huxley's Brave New World a reality? Alphas go to the charters; Deltas to the publics, and everyone takes soma so they don't have to think about it? Alas, none of the reformyists appear to want to think about it now, before we actually finish dividing all of the students up. 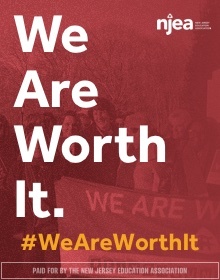 But I think they owe it to all of us - and especially to the parents of the Deltas - to justify this scheme of theirs. They need to be made to look up and confront this brave, new, reformy world they are making. Michelle Rhee’s StudentsFirst is well known for its deceptive tactics of posting seemingly harmless petitions calling to an end to student bullying, for example, or opposing firing good teachers, and then claiming all the people who unknowing sign them as one of their members. 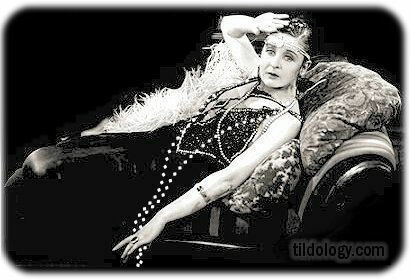 Even well-informed PAA members, completely opposed to the goals of this astroturf group, have been caught in her trap. …nothing prepared me for the level of nastiness and vitriol that descended upon me when I took this job and began to vocally advocate for policies that put students first. But nothing will deter me or scare me away. Because last week I spoke with a mom who’s only hope of putting her son in a good school is to break the law and pretend to live in another district. I’ll keep fighting against powerful union and school board interests. I’ll keep fighting…to help her. And shame on the rest of you. ... don't you just love how, when criticized, these people immediately shield themselves by lumping in their activities with anti-arparthied activists and GLBT rights advocates? They literally draw comparisons between themselves and Nelson Mandela; as if getting Rupert Murdoch's money to run around the country and buy fund state legislature races is the slightest bit equivalent to sitting in a South African jail for 27 years. You write: “And so now I’m organizing over 119,000 Florida parents, teachers and concerned citizens.” … I politely ask you to verify those numbers. Why do I not believe that 119,000 people in Florida agree with you? Let me politely explain. It's a very good question, because Rhee and StudentsFirst have always made a very big deal about how many "members" they have; it's how they give themselves credibility. When SF reached the one million "member" mark, they made sure to crow about it. In what I am sure is nothing but a happy coincidence, that one-millionth member happened to be an anti-tenure teacher. All she had to do was give her email address and zip code, and she was in. Unlike, say, the NRA, which requires a $35 fee. On that basis alone, would anyone say the number of the NRA's members should be compared to the number of SF's "members"? says that 1,300,000+ people signed!!! To whoever can do anything–THANK YOU VERY MUCH! Note: I am still a “member” of StudentsFirst, having signed a petition without knowing that I was joining an organization that I did not wish to join. I assume that a significant portion of the alleged 1.3 million “members” are like me. I’m guessing that over one million of her supposed members are like me: Duped into joining. So signing an on-line petition to raise teacher pay makes you a "member" of SF? To become a member of the NEA, you have to be a current or retired teacher and pay dues. Are these 1.3 million people SF claims as "members' at all like the 3.2 million NEA members? Written by Stephen Sawchuk for EdWeek. Read the entire article here. “StudentsFirst… claims to have 1.3 million members, each of whom has donated an average of $40. Individuals can become members through several channels, including by signing up at a live event; through outreach drives at college campuses; signing up on its website; signing the organization’s pledge; or signing one of its petitions hosted on outside websites. In the latter instance, some critics contend that StudentsFirst’s petitions are designed to capture as many members as possible, thus inflating the totals. Ric Brown, a professor in the New York City-based Pratt Institute’s department of social sciences and cultural studies, said that while signing an unrelated petition on the change.org website, the site presented him with a petition supporting higher pay for teachers, which he also signed. Only on closer inspection, he said, did he see that the petition was sponsored by StudentsFirst, whose policy goals he eschews. StudentsFirst officials dispute such accounts, saying that its petitions are clearly marked and that signatories can opt out of membership before signing, or cancel it afterwards. And there's more: SF's partner in New Jersey, B4K, handed out backpacks to students last fall. To get a backpack, however, parents had to leave their names, addresses, and other information. Did those people become "members" as well? No one's saying. Why does this matter? Well, over and over again, Rhee and her staff use their claims about the number of SF's "members" to demonstrate a groundswell of support for their group. But SF is largely funded by billionaires like hedge-fund trader David Tepper, former Enron exec John Arnold, the very reformy Eli Broad, and, according to Steven Brill, Rupert Murdoch - a man who stands to make a lot of money if reformyness goes his way. Rhee refuses to talk about how she is funded, but she constantly brings up her membership numbers. She harped on how SF in New York had 110,000 "members" when she was on Brian Lehrer earlier this year to justify popular support for her positions. I wonder how many of these "members" would agree with the obnoxious, condescending, and, to some, homophobic Olympics ad SF is running. I would ask if they liked the idea of their membership dues paying for it... except it appears that many of them may not have paid dues at all. It's time to call StudentsFirst what it really is: an astroturfing group. It pretends to be grassroots, but all indications are that any large popular support it claims is artificial. Rather than throwing another hissy fit, SF would do much better to come clean once and for all and open up its books. How many of these "members" thought enough of SF's policies to donate at least $25 to the group? Rhee has an outsized place in the debate on education, given her own mediocre performance as an educator. People have a right to know who bought her seat at the table, and who's paying for those gift cards: parents and teachers, or billionaires? I'm sorry everyone, but I realized I messed up my comments setting, and some of you were leaving comments that weren't getting through. Completely my fault and I apologize. I'll try to put back all the comments for the last couple of months. I really do want to hear from you, pro or con - as long as you're not obnoxious. You folks have Joel Klein in the pages of the Wall St. Journal speaking for you already. Special apologies to stalwarts like jcg and Teacher Mom who posted and never got their stuff up. I think it's fixed. Quite possibly the weirdest yet awesomest cover of an Elvis tune... ever. Dolph Lungren laughs and laughs at Chuck Norris. Joel Klein just won't shut up, will he? During the eight years I served as chancellor of New York City's public schools, the naysayers and the apologists for the status quo kept telling me "we'll never fix education in America until we fix poverty." I always thought they had it backward, that "we'll never fix poverty until we fix education." Let me be clear. Poverty matters: Its debilitating psychological and physical effects often make it much harder to successfully educate kids who grow up in challenged environments. And we should do everything we can to ameliorate the effects of poverty by giving kids and families the support they need. But that said, I remain convinced that the best cure for poverty is a good education. "We should do everything we can." Does that include taxing people like your old boss, the incredibly wealthy Mike Bloomberg, or your new boss, the insanely wealthy Rupert Murdoch, back at the rates of the 1950's, when America had a huge economic expansion (and a Republican president)? And what do you say, Mr. Klein, to all of these young people? Did their educations help them? Or did they not go to the "right" schools? Last week's test scores in New York City and state demonstrate, once again, that it doesn't have to be this way. Although the traditional public schools in the city have about the same ratio of poor children—and a significantly smaller ratio of black and Latino children—the charter schools outperformed the traditional schools by 12 points in math and five points in reading. Those are substantial differences. But what really puts the lie to the notion that poverty prevents dramatically better student outcomes than we are now generally seeing in public education is the performance of several individual charter schools or groups of such schools. For example, Success Academies, a charter group whose students are almost 100% minority and about 75% poor, had 97% of the kids at its four schools proficient in math and 88% in English. Miraculously, that's more than 30% higher in both math and reading than the state as a whole. Gosh, I wonder what miraculous techniques Eva Moskowitz has cooked up to get such awesome results? Because these are exactly the same kids as the ones in those horrible, unionized public schools! Charter schools are not private schools. They are publicly funded schools that families can choose instead of their traditional neighborhood public school. But unlike traditional public schools, charters are run by independent boards (rather than a government bureaucracy) and are not constrained by oppressive union contracts. When they're oversubscribed, as they are in New York, charters must admit kids by lottery. First of all, that "government bureaucracy" of yours was under complete control of your buddy, Generalissimo Bloomberg, who gave you the green light to disempower parents, teachers, citizens, and just about anyone else who stood up to your reformy plans. I've read plenty of Leonie Haimson's work, Joel: you guys held the reins and you held them tight. So let's not pretend that you were encumbered by bureaucracy when you were the guys staffing the politburo. Second, those G&T schools you accuse of skimming the cream have unionized teachers, too; why are they getting high scores? You'd think all those horrible unionized practices you go on about would be screwing up those kids as well. When I hear all this moaning about unions, what I really hear is this: "We want to be able to fire teachers at will!" Well, if that's the case, do you really think you're going to get better teachers by taking away something of economic value? New Jersey took away tenure from superintendents, and guess what happened? The costs to hire them went up. Basic economics states that if you remove tenure and collective bargaining - both of which have an economic value - you will have to pay teachers more, or decrease the quality of the teaching force. Reformyists, however, live to deny that market forces might apply to teaching. And in 2011, about 18 percent of charter school principals left their jobs, according to the report, which hypothesizes that the schools’ reliance on young teachers and “start-up mode” struggles wear out employees after a few years. The attrition “is even higher than I thought,” said Mona Davids, the founder of the New York City Charter Schools Parent Association, which is supportive of charters in general but has been critical of their management. 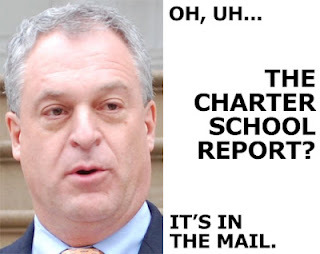 NYC parents are so used to reformy bull that they are surprised when charter cheerleaders are honest for once! Unlike most teachers in public schools, they believe they can constantly improve by having others observe them, by learning from each other, and by trying new things. That is such an obnoxious, condescending, ignorant statement that I think it disqualifies Klein from participating in any dialogue having to do with public schools anymore. No teacher or teachers union should have any interest in dealing with a man who thinks "most" teachers don't believe they can improve or don't want to try new things. I'll tell you what, Joel: when you stop playing consiglieri to a guy whose closest underlings are charged with hacking the phones of murdered schoolgirls, you can look down your nose at me and question my work ethic. Instead of vitriol and venom today, Gov. Chris Christie's interaction with a teary public school teacher ended with an apology. Tia McLaughlin invoked the Republican governor's frequent refrain that it's "harder to hate up close" in telling him she felt betrayed by his treatment of teachers when he took office two and half years ago. “You're right, it is much harder to hate up close because I’m not feeling the hate right now," she said, standing in the crowd at the boardwalk Music Pier. "I never thought I’d get the opportunity to talk to you up close." She made copies of the letter he sent unions during the campaign that promised to leave their pensions alone and distributed them to the 12 schools in her district, but then he did what she called "a complete 180" with pension and benefits reforms that further soured his dealings with the NJEA, the state's largest teachers union. Christie said, if he runs for re-election again, he will likely pen another letter to unions explaining his new position. Of course, we all remember this famous letter from the fall of 2009; the quote at the top of this blog comes directly from it. So now Christie's excuse for writing it is that he had "no idea the pension was about to go bankrupt." Sometime later I looked at the state’s pension system in a Hall Institute report; the system once controlled $86 billion or so in resources, and I was startled at its depreciation. It is now $59 billion or so. 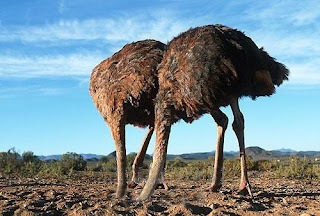 When I raised some modest points for reform, I was surprised at how defensive those responsible for investing or interpreting the investment strategies became. No one wanted to deal with the issue of gross underfunding. The administration has argued that all pension systems are down, some more than New Jersey’s, and that under Corzine, the state has contributed more money, $3.4 billion, to the pension system than previous administrations did in the previous 15 years. Corzine saluted himself for beginning repayments, and I agreed that he deserved credit. Unlike his predecessors, he did not say at first that tough times or the need to balance the budget prevented him from meeting his obligations. But as the economy tumbled, Corzine decided to follow the old wisdom: For this coming fiscal year he proposed decreasing the state’s contribution by $895 million from the previous year’s $1.1 billion contribution. If all of Governor Corzine's pension deferral plans are put into effect this year, the governor will have underfunded pensions by an incredible $7.5 billion during his less than four years in office, [Republican Senate Whip Kevin] O'Toole noted. Passage of S-2955 will ensure that the official $30 billion deficit between what the state has in its pension funds and the estimated pension payouts in the future will continue to grow, O'Toole said. "It defies logic to further increase the size of a multi-billion dollar deficit in the middle of the worst economic downturn since the Great Depression," Senator O'Toole said. "This governor is pushing the pension funds closer to insolvency." The pension fund for New Jersey teachers fell $2.6 billion more into the red last fiscal year, prompting the professionals who monitor the system to warn for the first time that the state is teetering near a point where it may not be able to pay educators their promised benefits. Along with the shortfall, calculated as of June 30, 2008, actuaries said recent events not factored into their report will only make the picture darker. Those include a 25 percent loss in the state’s investments and a new budget plan that calls for giving the fund just 6 percent of what is owed next fiscal year, short-changing the teachers pension system alone by $1.4 billion. “That really gives us some concern for the fund’s long-term ability to meet its obligations,” said Scott Porter, an actuary with Milliman Inc.
Like many governors before him, Mr. Corzine first turned to the pension fund for a lifeline. But it is a frayed line. The fund started in 2008 with $81.3 billion in assets, but that was still only 79 percent of the amount actuaries calculated it should hold to cover the benefits retirees have already earned. Investment losses would ordinarily prompt steep increases in state and local taxpayer contributions, to keep the pension funds flush. But Mr. Corzine and local leaders face a host of competing demands for the diminished tax returns they control, and the long-term demands of the retirement account have become a tempting source of short-term savings needed to prop up current government spending. Mr. Corzine said on Wednesday that state officials had recently reviewed an audit that found the fund had a deficit of about $25 billion. But some experts have estimated that the shortfall is much larger than that. Whatever the figure is, the governor said, the shortfall must be closed. Let's get this straight, once and for all: everyone knew the NJ pension system was a mess in October of 2009. The recession began well before Barack Obama was elected to the presidency; we were right in the throws of it during the 2009 NJ gubernatorial election. The market had already tanked earlier that year; everyone knew the fund's investments wouldn't be putting up large returns for years, if ever again. He was ignorant of the issues facing New Jersey at a level that would have made George W. Bush blush. He knew he couldn't deliver on a promise of keeping pension benefits the same and slashing taxes for the wealthy and corporations - but he made the promise anyway. Again, like George W. Bush's clearly impossible fiscal promises in the 2000 campaign. So, is Christie a liar or a fool? I could never decide about Bush, and I can't decide about Chris Christie. Is it possible they are both? Will you let yourself be fooled again? I asked a Democratic legislative staffer for a first-person description of the NRA's power on the Hill. Here's the response I got, on the condition that I not provide any further identifying information. It's pretty breathtaking. Again, I'm not bringing this up to debate gun control (regular readers probably can guess my position); I'm pointing out how much political power these people have. Yes, the NRA has deep pockets because it exists to protect the business interests of the gun industry. But it's quite remarkable how completely the group has captured debate on gun control, to the point that Mike Bloomberg is considered a political outlier for even bringing up the topic post-Aurora. The NRA claims 4.3 million members, but I'm guessing the vast majority of those members are amateur shooters with no financial stake in guns laws; they just want their guns. AFT has about 900K members, and the NEA has 3.2 million. There are around 3.3 million public school full-time teachers in the US. In terms of numbers, teachers and retired teachers rival the gun-owners who thought enough to join the NRA. And every one of those teachers has a financial stake in education policy. So how is it possible that the NRA gets everything it wants, but teachers are losing workplace protections, pay, benefits, and professional status under a Democratic president? What are they doing that we're not? Is it us? Do we just not care enough to make the sort of stink gun owners make over the slightest possible infringement perceived on their rights? Do we have to get kicked around even more to start waking up? Is it the unions? Are they too tied to serving as contract negotiators and providing members services that they can't be as effective at legislative lobbying and public relations as the NRA, which doesn't need to worry about those things? Do we need a separate organization to handle this area? Is it the money? Do we need to start ponying up more to buy elections? Sorry, but I don't think we'll ever match Wal-Mart in that area. I really am struggling with the answer here: do we have to sell our souls to get the sort of power that the NRA has? What are we doing wrong? When it comes to helping Newark's kids, Cami Anderson is getting right to the heart of the problem! Newark Superintendent Cami Anderson’s formula for boosting student achievement in struggling schools is built on a simple concept — allowing principals to select their teaching staff regardless of seniority. Yes, that's right: this is all about 80 teachers. Out of nearly 4000 certificated staff. And we have no idea whether these teachers are "ineffective" or not; we just know that there wasn't a principal willing to give them a slot in another school (Does that really surprise anyone? Don't you think a principal is going to want to stay with teachers that she knows? The ones she probably hired?). By the way: we have strong evidence that teacher experience is important. If the union wins, there may actually be staffing changes in the middle of the school year; yeah that'll be great for the kids. Didn't Anderson stop and think about this for a minute? Or did she really believe that overturning seniority was just so incredibly important that it was worth it? That this issue is so damn serious it's worth the risk of disrupting the students' school year? 42% of Newark's kids are living below the poverty line*; 74% are eligible for free or reduced-price lunch. But this is what we're worried about: teacher seniority. The refomyists always tell us that "poverty is an excuse not to reform!" But they have it exactly backwards: "reform" is the excuse they use to fail to deal with poverty. I'm not saying we shouldn't make sure we get rid of demonstrably bad teachers. But is the firing of 80 experienced educators that no one has shown are "bad" really the best we can do for Newark's families? Or do we maybe have our priorities more than a little messed up? * That's $22,050 for a family of four, which is determined at the federal level. Free lunch qualification is $29,055 for a family of four; reduced-price lunch is $41,348. Imagine trying to raise a family of four on that kind of money in Metro New York, one of the most expensive places to live in the world. Why, I do declare! It's time to get the fainting couch again for Miss Laura Waters! Last week in this space, I wrote a rebuttal to Dr. Diane Ravitch's response to N.J. Education Commissioner Chris Cerf's charter school editorial. Dr. Ravitch, the leading conservative spokesperson in education today, contended that New Jersey is "beginning to revolt" against charters "because the state is trying to push them into suburbs that have great public schools and don't want them." I tried to temper that argument, reinforce Comm. Cerf's definition of charters as "public schools, with public school students and public school teachers, funded with public dollars," and inject a little sanity into a debate that seems to polarize many people who otherwise share a passion for public education. While I received some very supportive emails, the post ignited a host of negative comments, which leads to the next question: Why do charter schools in New Jersey generate so much heat? Yeah, uh, no: that is definitely NOT what happened. Here's what really happened: ACTING* NJ Education Commissioner Chris Cerf quoted the teachers union leader Albert Shanker to imply he would favor Cerf's push for charter schools. Diane Ravitch, who knows more about this subject than just about anyone on the planet, told him clearly and firmly he was wrong. If Albert Shanker was alive today he'd still be an education reformer and would support NJ's efforts to expand school choice for poor urban students. Here's another fact: he wouldn't have given this answer to a parent's query, which appears in the comment section of Dr. Ravitch's blog. On Tuesday morning, NJ Spotlight published an editorial by Education Commissioner Chris Cerf's on charter schools. That afternoon, the renowned education historian, Dr. Diane Ravitch, posted anangry rebuttal (currently going viral). Why all the fuss? What could incite a famous international scholar to respond to a simple and factual description of a tiny subset of New Jersey's public school system? Diane's post was anything but angry; it also had the added benefit of being correct. And that was confirmed first by Darcie Cimarusti, who quoted Shanker's widow on his true beliefs, but also by Shanker's daughter in Waters's own comments section! So let's be clear: it wasn't that charter schools were "generating so much heat" - it was Waters's mendacious use of Shanker's words to justify her own reformy positions. You owed the Shanker family an apology, Laura (and Ravitch as well). Instead, you now pretend that you didn't misrepresent Shanker's views, and that the subsequent uproar was really about something else. Heavens! When will these unseemly perturbations end? 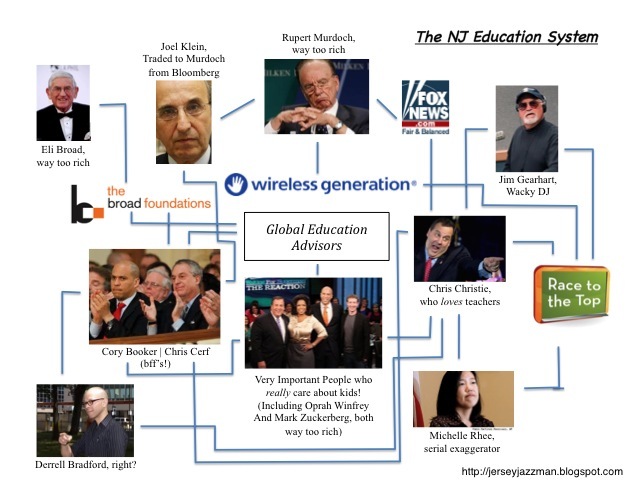 ADDING: Since when is Diane Ravitch "the leading conservative spokesperson in education today"? I suppose it's all in how you define "conservative," but that's still probably the oddest description of Ravitch I've seen. The co-chair of the state legislature’s Joint Committee on the Public Schools (JCPS) says news of acting state education commissioner Christopher Cerf’s meeting secretly in a private residence in 2011 with some Board of Education members and Councilman Steven Fulop to discuss future action on then-superintendent Charles Epps’ contract is something the committee would want to investigate, as is the way in which Jersey City’s new schools superintendent was hired. According to a report Friday in the Hudson Reporter, Fulop, who has been accused of helping orchestrate the hiring of the new superintendent, Marcia Lyles, convened a secret meeting on May 3, 2011 involving Cerf, some residents, two sitting board members and two board members-elect in a home at 274 Arlington Avenue. At that time, the board was preparing to remove Epps. Ultimately, the board selected Lyles over a second finalist, South Carolina educator Debra Brathwaite. In an email, Fulop invites current board members Marvin Adames, Carol Harrison-Arnold, Sterling Waterman and Carol Lester to attend the meeting. Others invited included Shelley Skinner, deputy director of the Better Education for Kids school choice advocacy group, and Ellen Simon, founder of Parents for Progress, the committee allied with Fulop that endorsed the three winning board candidates in the last election. The meeting, however, would not be a violation of the Open Public Meetings Act, better known as the Sunshine Law. The law, which was passed in order to increase government transparency, requires that decision-making government bodies “conduct their business in public,” with a few exceptions such as when discussing pending lawsuits. OK, hold on here. You're telling me that this meeting was just fine because these people had won an election but hadn't been sworn in yet? Gimme a break. Cerf should have known better; he's in charge of setting the standard for the state. This is exactly what Senator Loretta Weinberg meant when she warned Cerf to "sharpen his ethics antennae" earlier today. You don't skirt around the spirit of the law when you're trying to set a high bar for yourself. Still, Cerf has never met in an open public forum with the community at large in Jersey City to discuss the superintendent search. This, despite concerns over secrecy and perceptions that the state long ago determined it wanted Lyles. Cerf did appear before the board last December in a closed personnel session to discuss the issue, after declining to accept the board’s invitation to address the public. Remember that Lyles and Cerf are both gradates of the Broad Superintendents "Academy." Yet, despite the secret meetings, and despite the fact that Fulop admits he had to convince Cerf that JC wouldn't hire a local candidate, Cerf still insists he wasn't involved in the decision to hire Lyles. Can you understand how maybe the people of Jersey City might have a problem simply taking his word on this? Waterman disagrees. He maintains Cerf put the squeeze on the board to hire Lyles, a fellow graduate of the controversial Broad Superintendent’s Academy who also worked with him during their time together in New York City. “A few days before the final vote (June 28),” says Waterman, “I know we were deadlocked at 4-4, with one undecided – before the state placed a call into the board. After the state placed that call, we were deadlocked no more. Why? Rice alleges Newark, a district that remains under state control, has had serious problems dealing with Cerf. The district is now headed by superintendent Cami Anderson, another Cerf acquaintance from New York City who, like Lyles, attended the Broad Academy. The NJDOE needs to put out a plan as soon as possible that states exactly when and how state-controlled districts can regain control. Because this sort of back-room dealing doesn't do anything for students or citizens, and Rice is quite right to be worried about the growing privatization of New Jersey's schools.